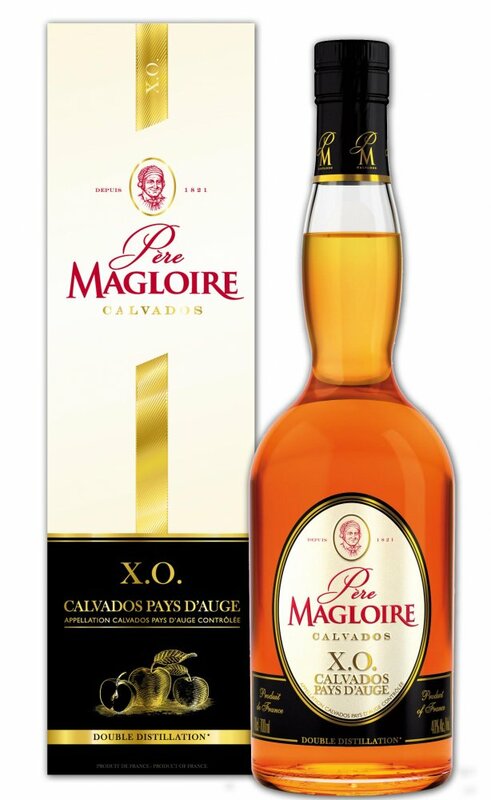 Pere Magloire Calvados X.O., is aged for a minimum of 10 years; it is the star of the range and undoubtedly the most balanced blend of distilled ciders from the Pays d'Auge. The amber colour, subtle apple bouquet and remarkably long aftertaste of Pere Magloire Calvados X.O. develop from the slow and intimate interaction between the air and the oak casks. 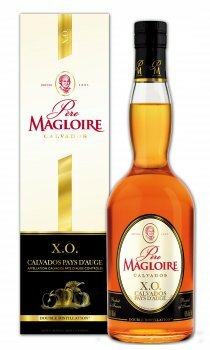 The specificity of Pere Magloire Calvados is that it is produced, aged and bottled in the Pays d'Auge region; ensuring that they closely control the techniques used, the respect of tradition and, most importantly, that the high quality of their Calvados is maintained. Pere Magloire holds one of the largest and most complete stocks of all Calvados producers and boasts an ancestral 'savoir-faire', ensuring that their blends have a unique flavour and are of a consistently high quality. Only Calvados from the Pays d'Auge is selected by the cellar master to create the oldest vintages. A limited geographical area and double distillation process create Calvados with a higher concentration of the magnificent local aromas and flavours which is more sensitive to ageing.